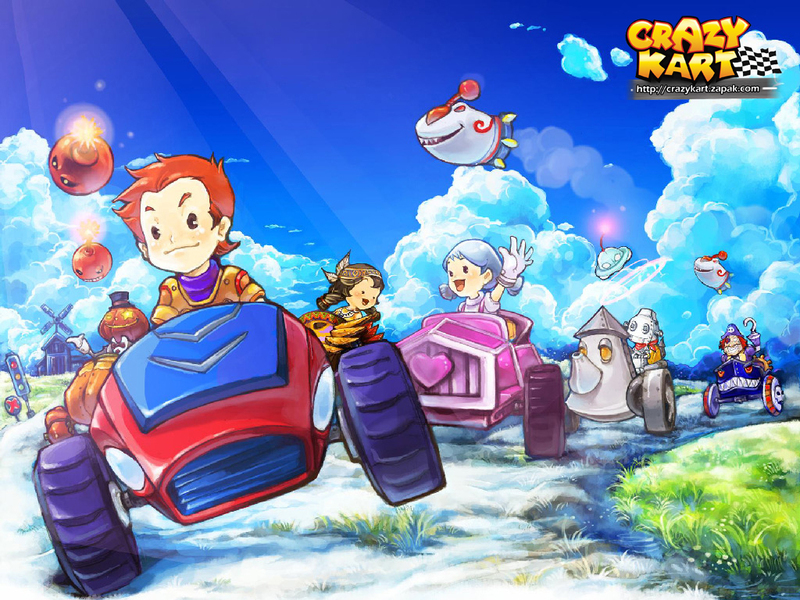 Crazy Kart is an extremely fun 3D free online racing game published by Zapak. Race at exciting speed, collect and use imaginative power-ups to unleash on your opponents. With similarities to the classic Nintendo Mario Kart games, it is a crazy racing game that will leave you glued to the computer screen. 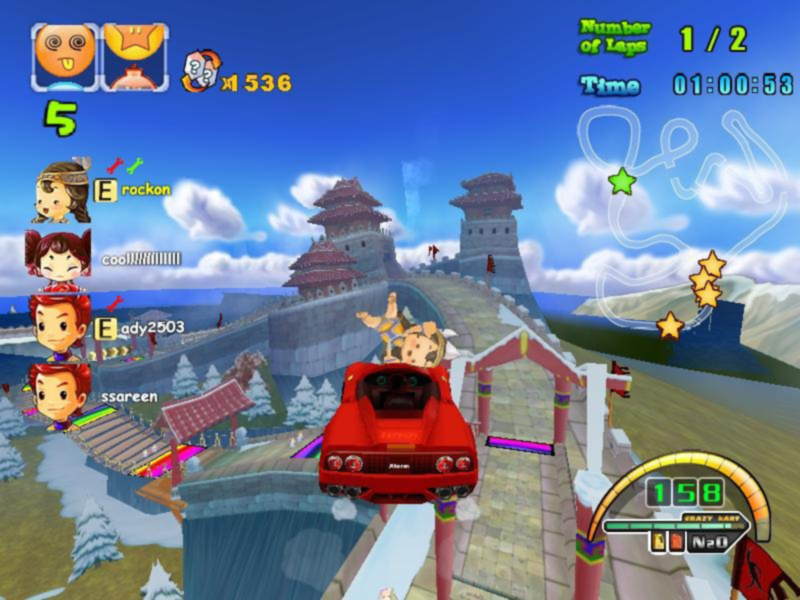 With great and colorful cartoon visuals, inventive tracks, varied and appealing scenarios, several racing modes and exciting challenges, it gathered a cult following in China, becoming the top ranked online game in 2006. Race in diverse environments that range from beautiful country sides with peaceful fields and trees to tracks set in fantasy scenarios. You’ll find yourself drastically changing from one race to the other, indulging in some crazy and exhilarating racing. SANA MA BALIK TO :(( I MISS CK !!! 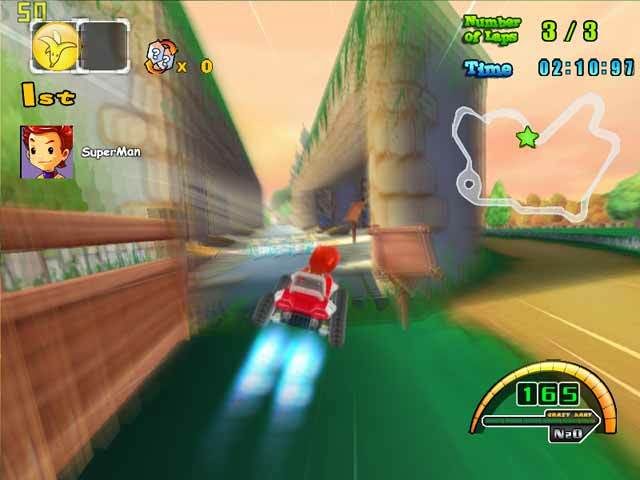 plss bring back crazy kart…!!! 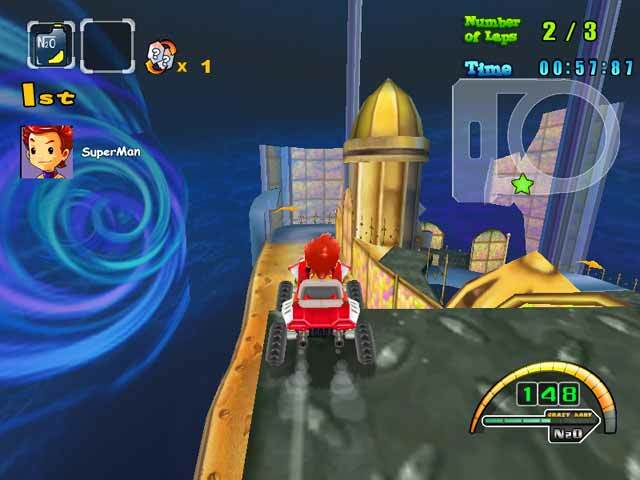 Let the crazy kart back on the online games. 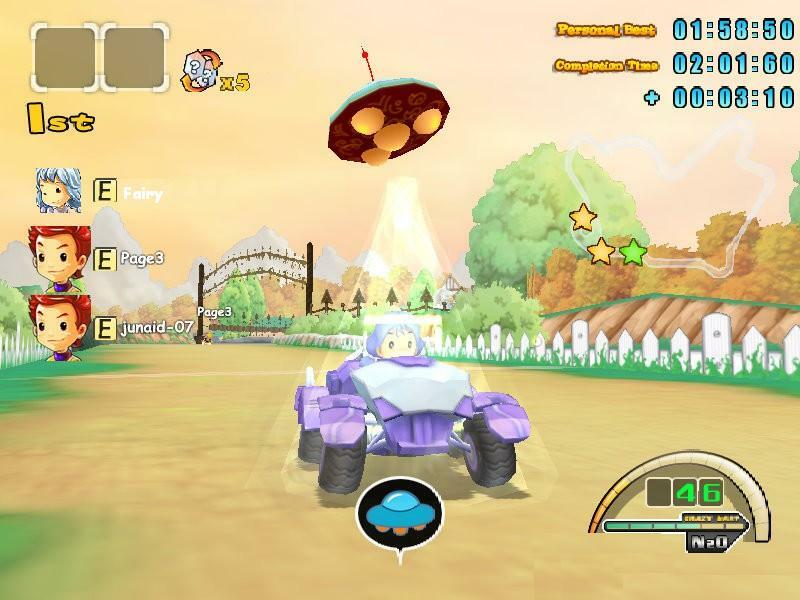 Let the Crazy kart back on the online game. Account ko nasayang sana pag bumalik pwede pa 🙁 dame ko nagastos. gumagana ba ito pag na download? hey guys, how to download this game? kailan pa to??? ibalik na ang crazy kart ibalik ibalik!! ibalik niyo na ang crazy kart pleasE!! 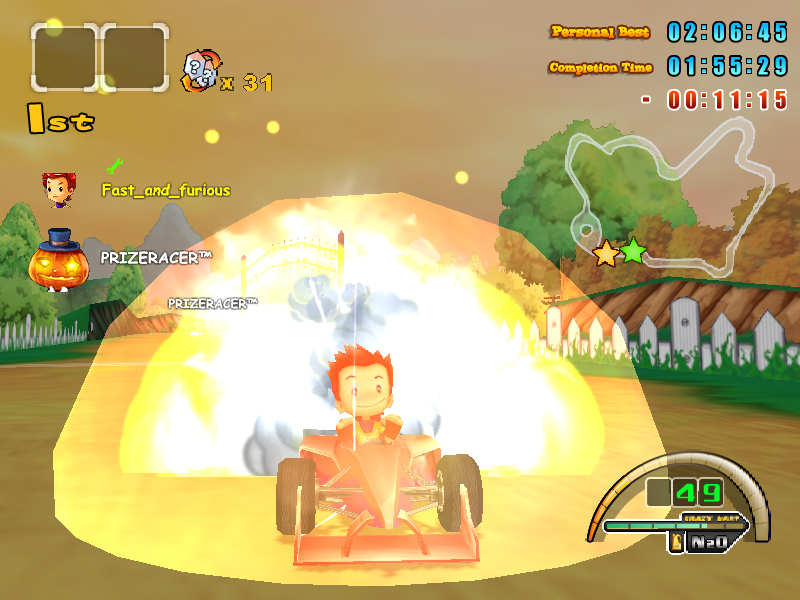 please let CRAZY KART back on the game online. o: What is the song played during the video on the bottom? wat is is it closed? ?